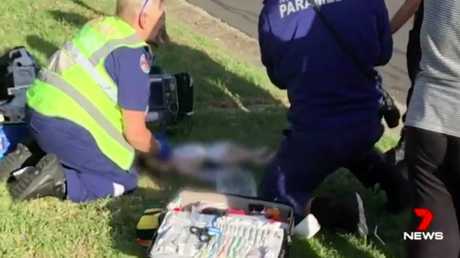 An 11-month-old has died in hospital following a minor car crash in south west Sydney on Monday. 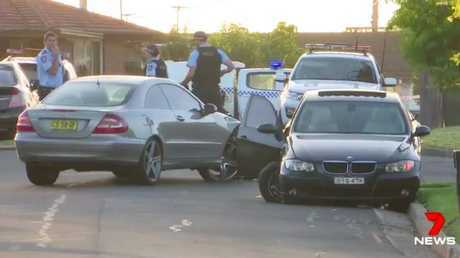 About 5.50pm on Monday emergency services were called to Lurnea after reports a BMW 320i had crashed with a Mercedes CLK500. The baby was struck by an airbag and airlifted to Westmead Hospital with critical injuries, and tragically died last night. Police are investigating whether the baby boy was travelling on his dad's lap and not properly restrained at the time of the accident. Zachariah Wafta had been sitting on his dad Peter's lap in the driver's seat with his child restraint left empty in the back seat, police believe. The collision triggered the BMW driver's airbag, inflicting critical head and facial injuries on the baby. "(The driver) was panicked, yelling out get the baby's mother! Get the baby's mother!" witness Lyn Carlin told 7 News. Baby boy sitting in dad's lap suffers serious injury when airbag deploys. He was airlifted to The Children's Hospital at Westmead. The driver of the BMW, a 31-year-old man and the driver of the Mercedes, a 32-year-old man, were uninjured. They were both taken to Liverpool Hospital for mandatory testing. Officers from the crash investigation unit are continuing their inquiries into the events leading up to the crash. "Investigators will seek to determine where the child was seated when the airbag was deployed," NSW Police said in a statement on Tuesday. Opinion Australians use about one billion disposable coffee cups a year. News Can you help create winter warmers?